There are lots of recipes that call for apples and it’s not too difficult to figure out what to do with excess apples. You can only eat so many apple pies, apple cobblers and apple fritters in a week! 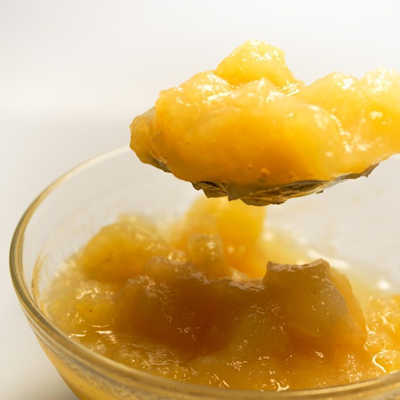 One easy thing to make is homemade apple sauce (and apple butter). You can even ‘can’ this! But this recipe works too, just on a smaller scale. There’s a Catfish restaurant not too far from me that walks around with a fresh tray of little apple fritters and passes them out -complimentary- to all the diners. Oh man….there’s nothing finer than a fresh warm apple fritter! Not into frying? How about a baked apple? Wash your apples, and using a melon baller scoop out the core of the apples from the top, creating a whole. Be careful not to scoop all the way to the bottom. You don’t want your filling to leak. Gently spoon two tbsps. of brown sugar in each apple, top with 1 tbsp. of butter and sprinkle with cinnamon. 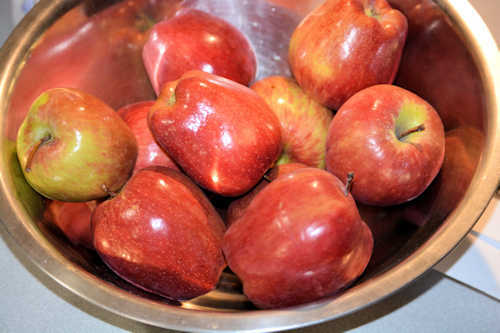 Place the filled apples into a shallow baking dish. I touched briefly on the difference between baking and cooking apples but here’s a more comprehensive list so that you can learn the differences in different varieties of apples. Empires are a cross between McIntosh and Red Delicious. This is a great apple that works for just about anything including baking. They are also delicious and freeze well. Gala apples are great for eating and to make apple sauce. Don’t try to bake with these apples. They tend to fall apart when you cook them. This is a fairly new apple variety that’s crisp and juicy. As you bite into these apples you’ll notice a light honey flavor. This is a very old apple variety. Ida Reds keep their shape during baking and even freeze well. Perfect for using them for baking and in apple sauce. This apple is hard to find and it’s believed to be related to the Winesap apple. These apples tend to be smaller but good for fresh eating, cooking, juicing, cider, and drying. They’re called black because in storage they can become quite dark in color. Don’t be afraid to pick up a different apple variety, you know, something out of your normal buying practice. That’s how you learn to like new varieties. Introduce these other varieties to your kids. 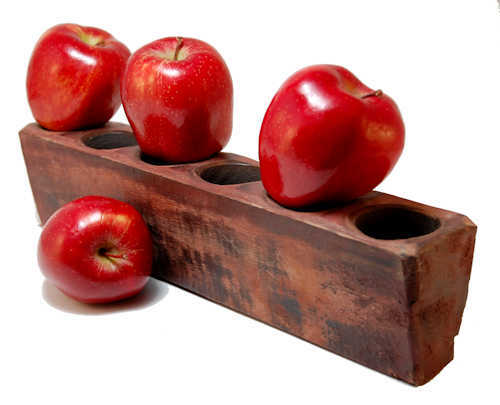 This helps teach them the different kinds of apples and helps keep the diversity growing strong. What do I mean by that? Take the banana for instance. Virtually all the commercial grown bananas that you find at your grocery store are the same THE SAME variety. They were propagated by cuttings. This means that every single plant is a identical to it’s source. This also means that IF that variety were to fall victim to a plant disease that practically all the world’s production of bananas would be lost. Let’s keep the variety in apples. Try something new to you.